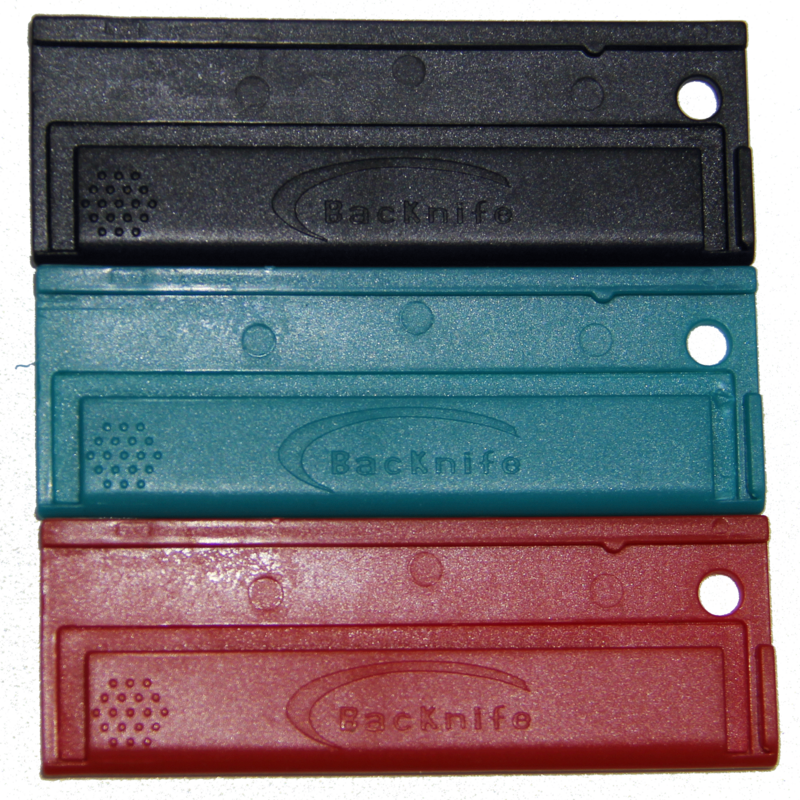 3 Pack of Red, Blue and Black Backnife Utility Blade Holders. Holds all standard Stanley Utility Blades. Fits comfortably in your pocket, keychain or wallet. There when you need it, and forget about it otherwise.